A couple weeks ago we started talking about How to Create Captivating Copy and just earlier this week we tackled Beating Writer’s Block. 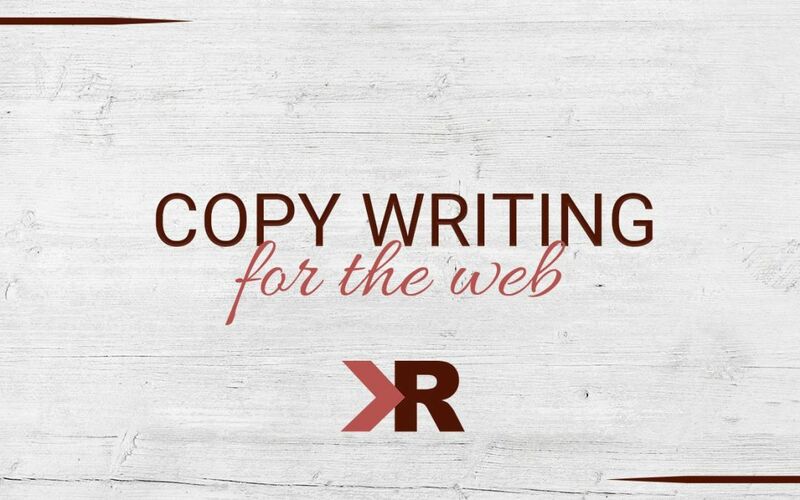 Writing copy is super important for online marketing, so we are glad you are here to learn more. Let’s talk about some ways you can write web content that attracts attention, looks great, and does it’s job: leads a customer to purchase. When it comes to writing for the web, you need to keep in mind that most people are skimming, rather than fully reading the content. It’s important to break the information up into small, easy to read, understandable chunks. You want to get the information to the reader before their eyes start to gloss over. Ask yourself: Do you have what the reader wants and can they find the information quickly? Don’t think about writing for the web like writing for an English class. In an essay, you build up to your point, providing detailed research and information leading to a resolving conclusion at the end. When you’re writing for your website, you need to put the most important information at the top. Provide a solution to your customer’s pain points right away. Nobody wants to read boring facts and voiceless information. If you know who your ideal customer is, you should know how to talk to them. Remember this with everything you write for your business online. If it doesn’t sound natural or realistic, scrap it and try again. Your content should speak directly to your customer in a style comfortable for them. Keep track of your progress in building/maintaining your website with our Website Cheatsheet and like KRose Marketing on Facebook where like-minded entrepreneurs gather to share insights, ask questions, and support one another.